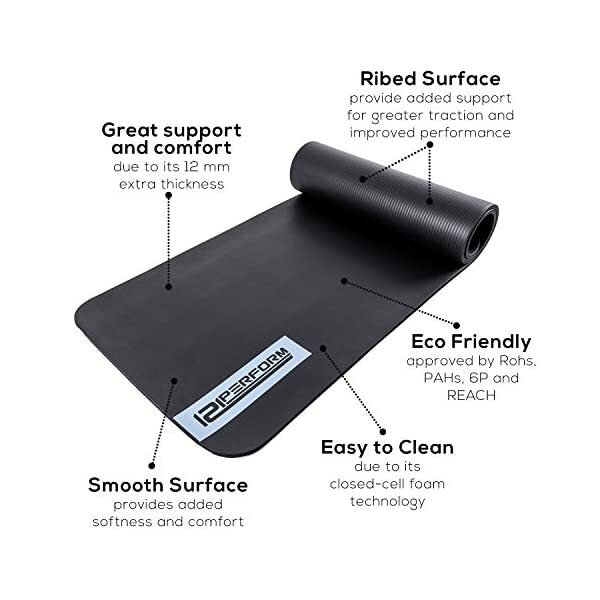 ▶ 180 x 60 cm, 12 mm thick – This size ensures comfort for people of all shapes and sizes. 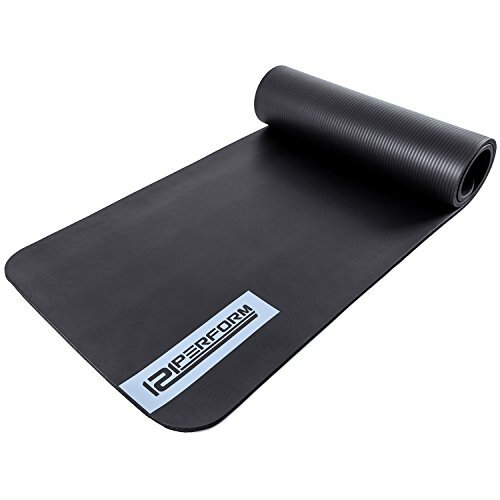 With high density foam material, 121PERFORM’s Yoga Mat comfortably cushions spine, hips, knees and elbows on hard floors. 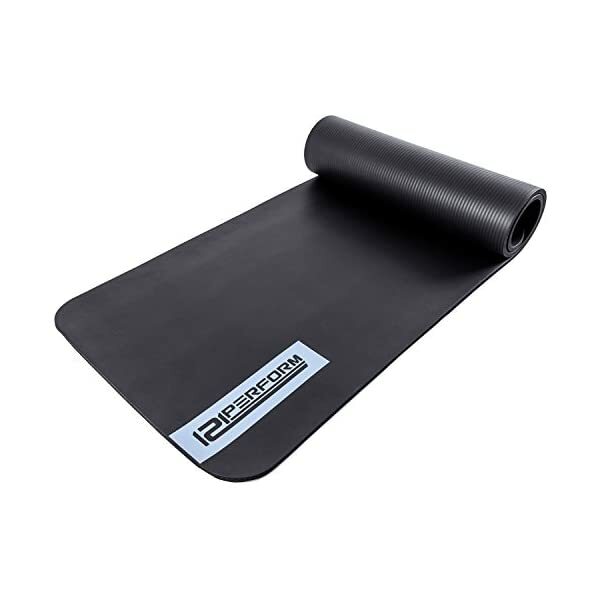 ▶ NON-SLIP – Most Yoga or Pilates poses require body balance and keeping tension in your muscles. 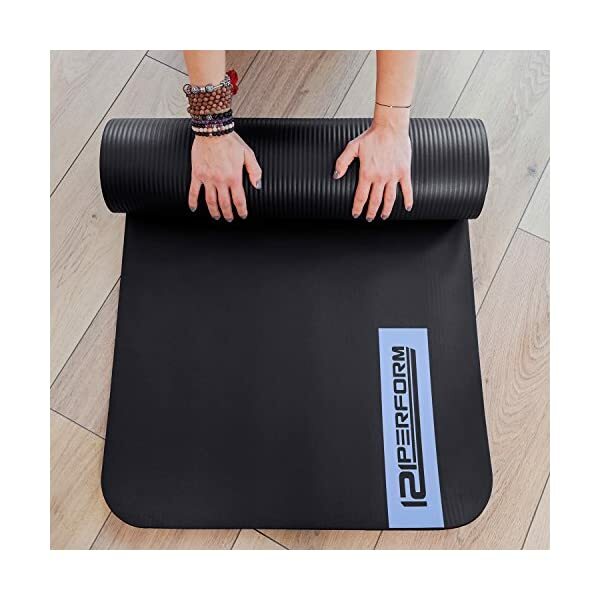 In order to prevent injuries caused by falling, these mats have a textured surface that ensures the mat doesn’t slip from under you nor do your feet slip on the mat. 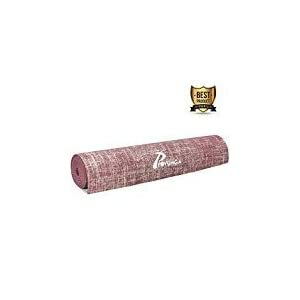 ▶ MULTI USE – For Women, Men and Children, ideal for Yoga, Pilates, Aerobic, Workouts, Camping, Sleeping, Meditation, Parks. 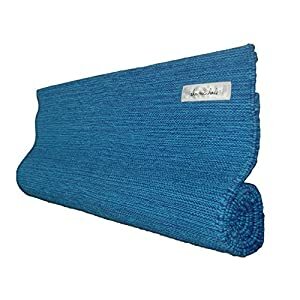 The high density material offers excellent insulation and helps block cold and dampness from the ground so it can be very easily used outdoor. It also comes with carry straps and a carry bag so transporting it is a breeze. Want to have your body ready for summer? 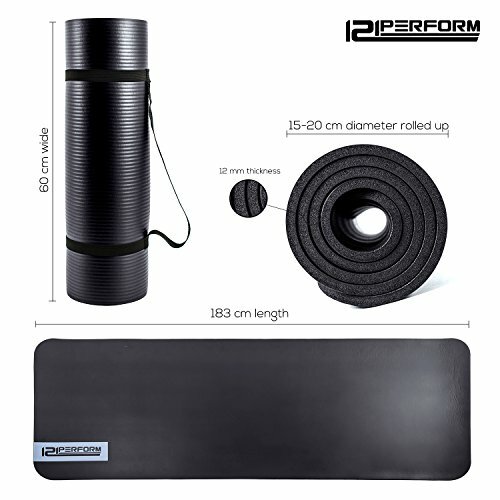 Look no further than these fitness mats to supplement your workouts both at home and at the gym. 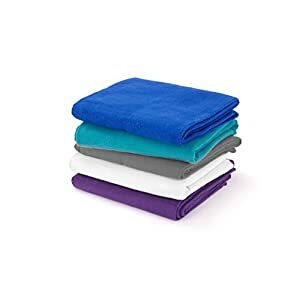 Being lightweight and easy to carry, they are also a great travel companion so you don’t have any excuses for skipping a workout while away. 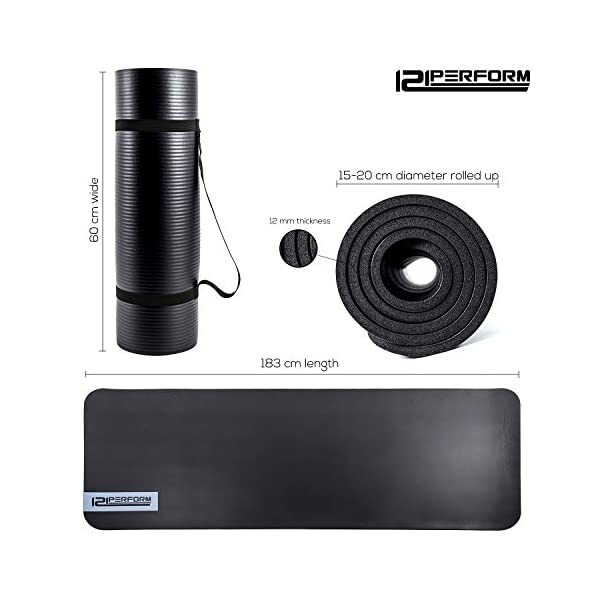 They are perfect for doing your warm-up and stretching routine as they provide necessary cushioning and an anti-slip surface so you feel comfortable and safe. 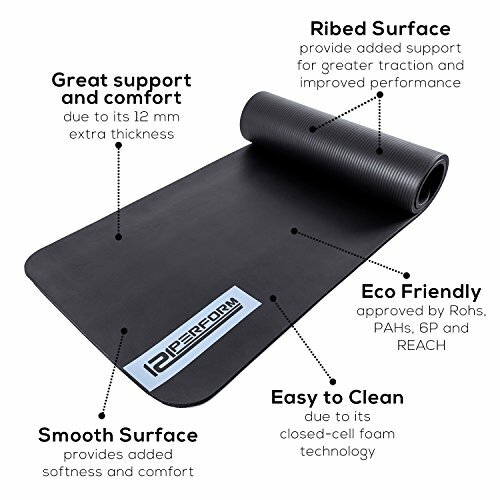 Even though our mat is slightly thicker than traditional yoga mats, we found through our customers that this intermediary thickness of 12mm offers the best compromise between a fitness mat and yoga mat and it’s also perfect for beginners of yoga which need a little more cushioning for their joints for the extra comfort and support. 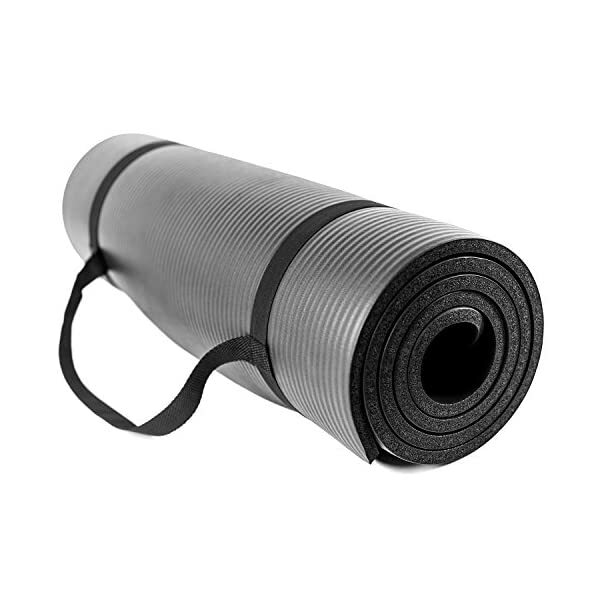 These mats can be used outside as well in different recreational activities like camping, fishing, picnics or at the beach. 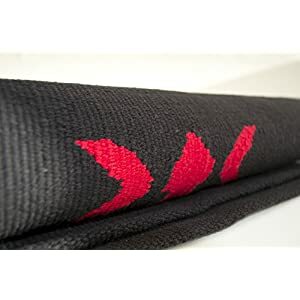 They are made of durable soft NBR foam which ensures they will last a long time. This type of foam is environment friendly which means it doesn’t contain dangerous chemicals or metals making it also safe for your skin. 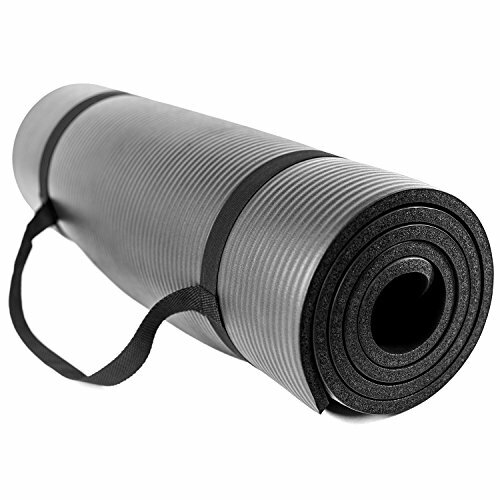 ▶ ECO-FRIENDLY – Non-toxic, waterproof, soft and thick Yoga mat will make you work out! It is non-toxic, eco-friendly and approved by RoHS, PAHs, 6P and REACH. Also latex-free and phthalate-free so you don’t need to worry about any skin allergies. 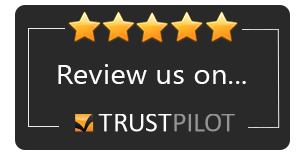 ▶ LIFETIME WARRANTY – If there are any issues with your product, simply contact us and we will give you a full refund and send you a new replacement. You don’t have to return the product.